This ultra-comfy casual shoe has a durable sole with good tread so it's an ideal choice if you're active. Its very deep and accommodating, fitting swollen feet with ease. The deep, seam-free front is ideal for sore or problem toes while the soft, high-quality leather adds to the comfort. Removable 'airflow' comfort footbed - ideal for orthotics. 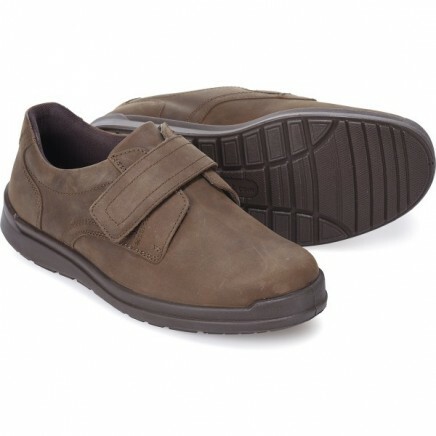 Softly padded across the instep and ankle for extra comfort & support. Secure, touch-fastening strap adjusts to fit swollen or mis-shapen feet.